Ezt a terméket eddig 103 alkalommal vásárolták meg! The Vaponic vaporizer is the new and improved version of the Vapbong. The Vaponic is a reliable and well thought-out portable vaporize. It’s patented double airstream vaporizing system based on heat convection and conduction will allow you to inhale cooled, strong and tasty vapor from your herbal blends or tobacco. There’s no direct contact between the flame and the air you inhale. 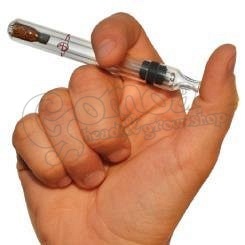 This and the fact that only safe materials of superior quality are used (Borosilicate 3.3. glass, stainless steel and medical silicone caoutchouc) keeps the vapor as clean and healthy as possible. 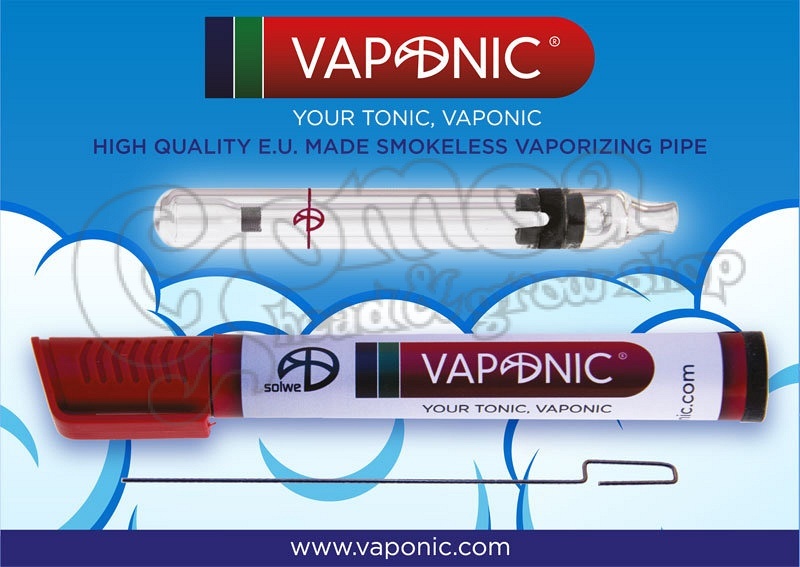 The Vaponic is proudly made in Europe and under strict quality control. You’ll be surprised by it’s efficiency and easy handling. Vaporizing is a healthy alternative to smoking by avoiding combustion. The compounds of the tobacco are heated up to the point where they start boiling and turn into vapor. This happens below combustion temperature, the plant will not burn and you won’t inhale smoke. The vapor you inhale is pure and only contains the plants substances. You avoid exposing yourself to toxic combustion by-products as tar and other carcinogens. The Vaponic has a two-year warranty on the glass pieces, the rubber pieces and the marker shaped case. The warranty can be accomplished by the manufacturer.